Heino was an eighteen-year-old German infrantryman when this photo was taken in 1942. Heino Erichsen was born June 7, 1924 in Kiel, Germany, a Baltic Sea port. When he was nine years old, Adolph Hitler became Germany’s chancellor and led the country into its irrational and destructive decade that led to perhaps the world’s largest and most gruesome war and ethnic persecution. When he was growing up, Heino was among many thousands of German boys who became members of Hitler Youth, a compulsory military indoctrination program of the the German war machine. In May 1943, a month away from his eighteenth birthday, Heino was drafted into the German Army and sent to boot camp in Denmark, where he trained to fire machine guns, and within months he was a member of the German Afrika Korps sent to North Africa to fight a losing battle against the Allied forces. He was taken as a prisoner and shipped with hundreds of thousands of German prisoners to newly built POW camps in the United States. After arriving in New York and deloused, Heino was put on a train to Hearne, a little town in East Central Texas. Heino was among as many as 4,800 German POWs who lived at Camp Hearne, where the government built 250 buildings: barracks, hospital buildings, guard towers, administrative facilities, mess halls and a building that prisoners converted into a 200-seat theater. The barbed wire that fenced in the POWs would line 1,800 miles, more than enough to stretch to Chicago. 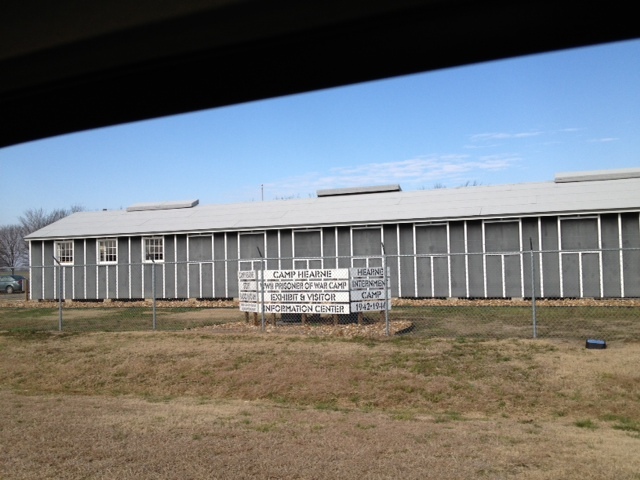 Camp Hearne POW camp now houses a museum. Hearne city boosters had successfully lobbied the War Department to build the camp just outside of town as a way to bolster the local economy. It was among the largest of dozens of facilities in Texas that housed POWs during World War II. Most of the German POWs at Hearne were noncommissioned officers, hard-liner sergeant types who were strong believers in the Third Reich. “We had some scary guys,” Melissa Freemen told me Friday during a tour of the Camp Hearne Exhibit and Visitors Center. From all indications, Heino was not among the scaries. This morning I met Heino at the independent living facility he lives in The Woodlands, a little more than an hour’s drive from Hearne. He greeted me with a smile and lightly touched my arm as he shook my hand. His demeanor is of a kindly, gentle man in a cardigan sweater. Speaking in a s German accent, Heino recalled that he spent most of his days as a prisoner working in local farms, shearing sheep, working with cows and plowing fields. Heino was a lowly private in the German infantry, and was compelled to labor in the fields. But the German officers in the camp, roughly eighty percent of the prisoners, were not required to work, which is a provision of the Geneva Convention, the international agreement that governs the treatment of war prisoners to which the United States abided. The officers spent much of their days in recreation, playing soccer, going to classes, staging plays, crafting artwork and woodworking projects, and building gardens and water fountains to beautify the 700-plus acre site. After the war, Heino went back to his hometown in Germany, and lucked into a cushy job: as a translator for a British government official who managed two German counties. But he never forgot Texas. In 1953 he emigrated to the United States with his young German bride and their son. He worked as an accountant at a hospital in Minnesota, and eventually divorced and became a single parent to his son. He met Jean, a Minnesota native and also a single parent, and they married in 1962. They both earned master’s degrees (his in business, hers in counseling). They adopted three children from Colombia and moved to Austin, where in 1981 they launched what the Erichsens say became the state’s first international adoption agency, Los Ninos. Three years ago, after placing 3,000 orphans from 20 countries into new homes, the Erichsens retired and closed the agency and they now live outside of Houston. Nearly seventy years after the end of WWII, Camp Hearne is a shadow of its former self. The only original structures that remain are a water pump house and a small structure for a water well (both were renovated with a brick facade by the city long ago). The museum maintains eleven acres, where there is a newly built barrack that houses displays of artifact, photos and exhibits showing how the POWs lived and worked. Outside, is recently completed a guard tower. Across the road from the museum, I walked about one-third of a mile down a path that long ago went down the middle of one of the three POW camp compounds. You can make out numerous concrete foundations on both sides that seem to want to be taken over by the scruffy underbrush, weeds and mesquite. You have to use your imagination to see thousands of German prisoners, dressed in Army fatigues with “POW” stamped on the back and wearing shorts during the hot summer months. Some sit on stoops, eyeing visitors walking this way, while others go about their activities, perhaps kicking a soccer ball or telling a story in German. The Kneeling Lady Foundation built by German POWs once had an elegant kneeling woman holding a platter. Three frogs positioned on the edge of the fountain sprayed water onto the platter. 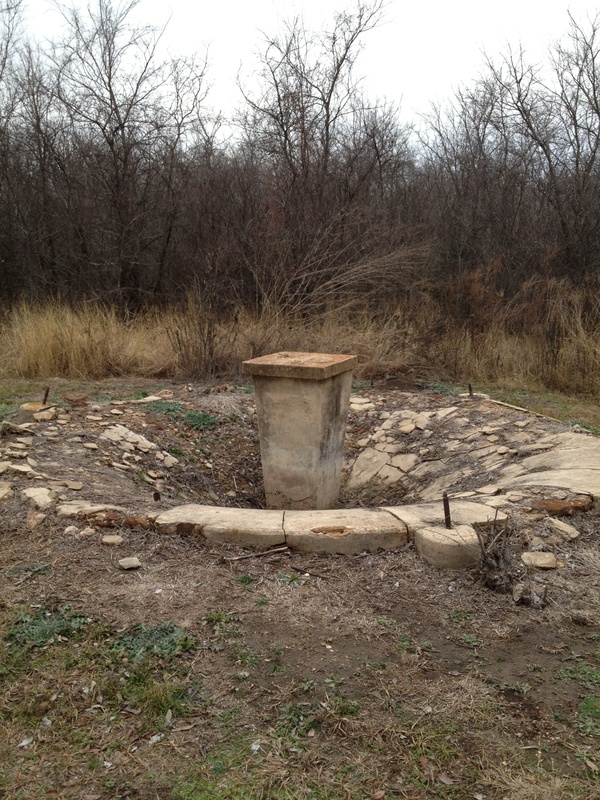 At the end of the path, in a small circular clearing, there is the remnants of the Kneeling Lady Fountain, an elaborate construction that once featured a kneeling woman on a pedestal holding a platter. A photo in the museum shows an artistic creation, a Greek-like woman in the middle of a pool, with three cement frogs that spouted water onto the platter she held. An exhibit case in the museum holds portions of the frogs. If you try, you may very well hear trickling water and the spray from the frogs. Features such as this were uncovered by Mike Waters, a Texas A&M anthropology professor who has explored the site and wrote a book about the camp, “Lone Star Stalag.” His work helped inspire Cathy Lazarus, a retired pharmacist who led the creation of Roll Call, Friends of Camp Hearne, the nonprofit organization that opened in the museum in 2011 with community support. The museum preserves the history of the POW camp. It is well worth the trip, especially if Freemen and Lazarus provide you a personal tour. Learn more about the museum on its website. Great historical write-up. Even more interesting was Mr. Heino’s future and his success in the country he fought against. I can see why you are an award-winning journalist, Charles. My husband, Heino Erichsen and I are pleased to know he is featured in this blog and will be mentioned in your coming book. You mentioned ours. New autographed soft cover copies of The Reluctant Warrior: Former German POW Finds Peace in Texas are available through us on Amazon under the name Jeane. This is such a great article. Your book will be awesome. I met you, Mr. Boisseau, in Hearne earlier this month. I work with the daughter of Wanda Burdick,. Mrs. Burdick,”Mimi”, has been in the hospital. Her daughter is encouraging her to contact you soon as I gave them your card.. And to the Erichsens..my daughter was adopted from Cherkassy,Ukraine through your agency in 1994. Heino and I are in awe of the coincidence. 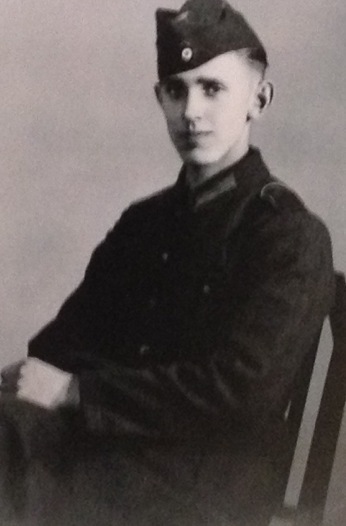 Charles and Pat made their first visits to the museum on the same day, Their meeting tied the reasons for Heino’s journeys across continents together: his tour as a soldier and POW, and later when he felt called to fight for the lives of children.